Being a mastering engineer means I hear a lot of music, sometimes I can identify sound sources (or a collection/interaction of sources) that have sonic problems which cannot be resolved in the mix without complete replacement. As such I have understood the need for an entry which provides clear advice for consideration when choosing sound sources for your music tracks. Sound sources can be extremely inspiring for musicians and producers, whether it is something truly unique and never heard before or something that you love and want to use to emulate a certain style in any given genre. I completely understand the need for this creative boost that a sound source can give when making a new piece of music but I suggest being discerning when it comes to fidelity and sonic character when choosing production sound sources in your music. Edited to add suggestion: If making dance music I suggest taking time to learn how to use a kick drum synthesizer especially for 4/4 to the floor dance like techno, house, garage, psy etc. As we know bass is important in a track and highly important one source of this is the kick. 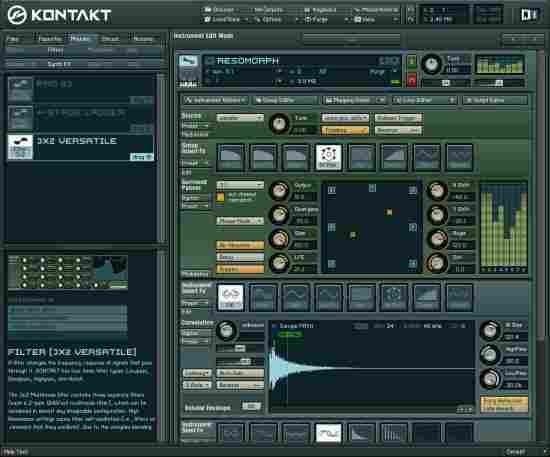 With a kick synthesizer you will be able to tailor the kick extremely precisely to your track and bass line. This does however require good monitoring and a well treated room to produce accurately. However, if you can create this situation a kick synth (when the time has been taken to learn it properly, as they can be fiddly and time consuming) it allows you to program in lows, mids and highs before you even reach for an eq plug in. (more on this later, getting things right at source is the ideal production goal) Ultrabeat in Logic is apparently good as is Sonic Academy Kick 2. Always try and assess the quality, definition and fidelity of the sound sources you use. In terms of pure technical advice the number one consideration is to try and know the historic file format qualities of the source you are using, especially when using samples. I strongly recommend not using samples that have existed as an MP3 or other compressed file format when a .wav or .aiff is available. When I say “existed” I mean any .wav or .aiff files that may have lived life formerly as an MP3 (and converted to a .wav) so that .wav file may well already be robbed of data which has degraded the fidelity of the file. 2) It may well suffer even further should your track be subsequently encoded into MP3 or AAC again during normal online music distribution channels.Encoding a mix with MP3 sources into an MP3 again will quickly degrade the sound by cascading the data compression algo. When auditioning samples try listening carefully for grainy-ness in the upper mids and high frequencies. If you see a very steep low pass filter on a spectrum analyzer (such as Voxengo Span) then it is likely that the file has been an MP3 at some stage in it’s life. (although not all MP3 encoders and bit rates use a steep HPF) Also listen for hazy stereo images with ambiguous phase relationships. (i.e. a phasey, swooshy sound) Listening carefully on a set of headphones can often easily give away a low quality source sample. Mono or stereo ? Too narrow or too wide? Note: The technical definition of stereophony is well defined and relates to the use of 2 panned microphones throughout a signal chain. Most “stereo” synths and reverbs are going to be what is known as “pseudo stereo”. Pseudo stereo means techniques have been used to create channel differences, be it non correlated reverberation between L and R channels, timing differences (including delay based effects), phase shift/time delay between 2 or more panned oscillators. These pseudo stereo effects fool our brain into thinking there is true stereo information. The use of the word “fool” is not a negative connotation, it can sound very good indeed. Also consider that some single drum hits will be produced using reverbs which you will have difficulty editing or adjusting the decay time. If the sample is available without the reverb and you feel confident enough to programme a reverb plug in then greater flexibility will be available at the mix down time. If possible try and get un-limited versions of samples with the original recording dynamics. This allows you greater creative control over the sound rather than being locked into the fixed dynamics of an over limited drum break (with compromised transient information). You will have greater control over the transients in the drums and be able to tailor them to your mix more easily. 1) A mix has relied heavily on 1 synthesizer sound set (presets from the same synth) which has used a similar reverb or delay based effect that smears the entire stereo image. Be aware of in built stereo width effects such as “Dimension expanders or Hyper/Spatializers” etc.they rely on manipulating phase and whilst they sound wider they also sound artificial/contrived and may not collapse to mono well.” Try editing the preset effects on the synth patches, or using another synth altogether. No one wants a mix that sounds like a synth demo and racking up the sounds using the same digital oscillator technology (models) and build in effects chains can produce a mix that lacks power in the Mid channel and lacks real depth produced by selective and custom effects chains. 2) Over use of mono sources with a few stereo or pseudo stereo sources added every now and then. It makes for a mix that lacks engagement and makes the stereo elements stand out in a very obvious manner and draws the ear to the mono sources. It is an art to address this issue and comes with time and experience in choosing or programming sources that have the desired well balanced stereo information present. Bass is very important in music production and can be a tricky area of the spectrum to work with. The issues are numerous and often related to monitoring accuracy and the sound sources chosen. When choosing bass sounds consider how audible they are in the deep sub bass part of the spectrum and also further up into the lower mids and even mid range. If you have chosen a sine wave bass (or bass that has sine like properties) for it’s powerful sub frequencies check if you can hear the notes on a smaller sound system. You may wish to layer notes an octave or 2 up to bring some melodic presence/audibility for playback on small sound systems. Try and gauge the level of harmonics in the bass sound source/s by ear and if necessary on an analyzer. Conversely if you have a bass line that is not rich in sub then it won’t compare to tracks that do have ample deep lows and may lack power, especially in some dance genres. Again consider adding some deeper lows through using either a sub harmonic synthesizer (with great care) or supplementing the bass line with some sine waves mixed in at low level. This also applies to kick drum choices. When working with bass always double check your bass balances on multiple systems to ensure the bass is present and translates well to different speaker sizes. 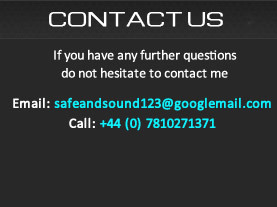 In some sound sources we do not expect to hear distortion, the human voice, acoustic strung instruments etc. However I have noticed some virtual synthesizers are cleaner in their sound generation than others. This is something to be aware of, check out some synth demos and you can find quite a difference in sound quality from the oscillators and filters. All of these small issues can add up. It is not always easy to hear distortion through a loudspeaker that may be producing between 1 and 3pct THD itself. (these are typical distortion figures for a speaker woofer) so a lot of care needs to be take to hear such low level distortion which can present itself as an edgy-ness (lack of refinement) in the sound. Some of the very latest soft synths are better in this regard but tend to use much more CPU resources. It is nonetheless something to consider when choosing your synths. Choosing high quality sound sources is very important and no amount of mixing or mastering will extract fidelity and sonic quality which is not present in the original source. If you are looking for loud mixes and loud masters then very low distortion bass sources can be important. Try and avoid data compressed samples and pay great attention to bass balances on small and large sound systems. Please feel 100pct free to share this on audio forums and social media etc. The more, the merrier !